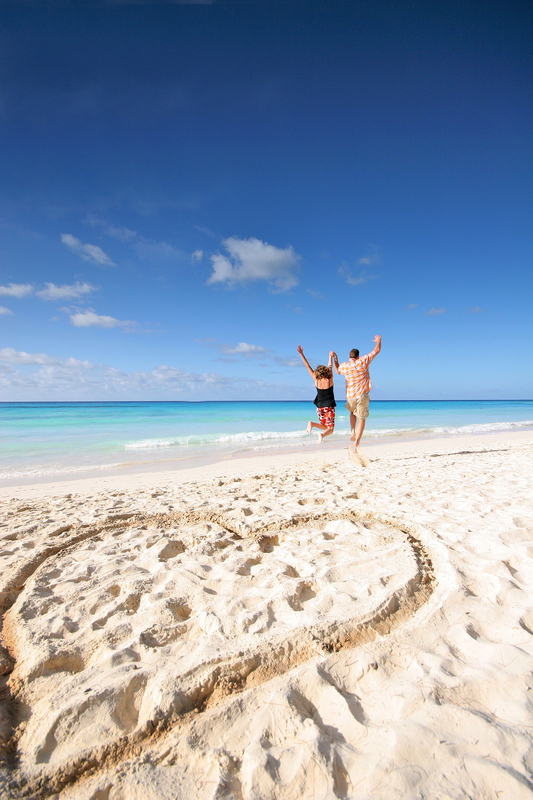 Honeymoon planning can often be very stressful and overwhelming for couples, keep in mind that perfect honeymoons don’t just happen, and planning requires thoughtfulness, patience, careful attention to details, and a lot of decision-making along the way. This is why we highly recommend using a certified honeymoon specialist who don’t charge any fees for their service and will save you alot of stress along the way, honeymoon planning made easy! Once you find your perfect match with our new honeymoon planning tool, our honeymoon designers will help you find the best resort match based on our likes and dislikes, its complimentary to use one of our honeymoon designers, they have all traveled and been certified in every destination we recommend! 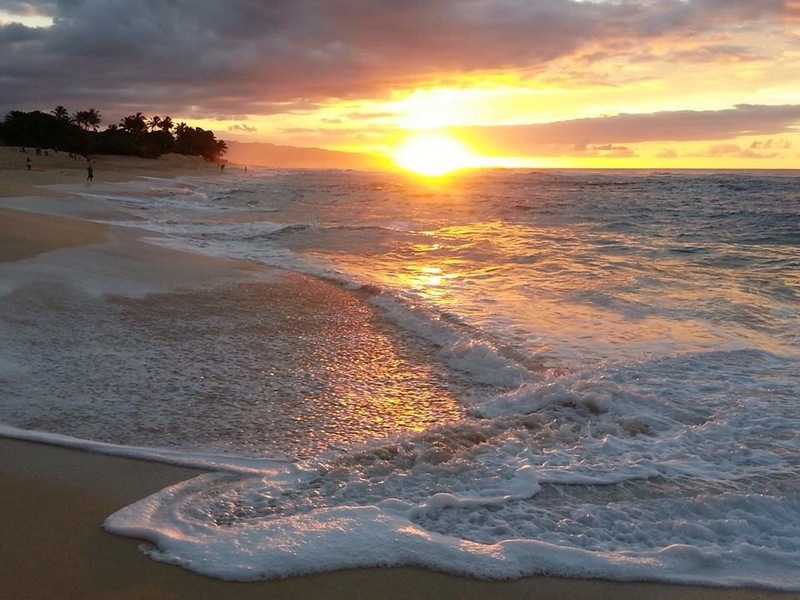 Hawaii – Hawaii remains the number one destination for honeymoons year after year because of its romantic sunsets, magnificent beaches, and luxurious hotels. Visitors to Hawaii can also conveniently hop from island to island to experience just about any climate and adventure under the sun, including kayaking, mountain climbing, surfing, scuba, and even hiking in a rainforest. 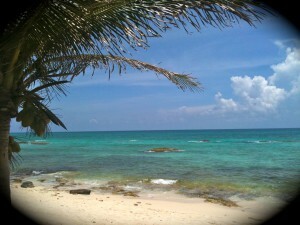 Mexico – From the Yucatan peninsula to the Pacific Coast, Mexico is all at once romantic, adventurous, and laid-back. A collection of spectacular land- and seascapes larger than almost anywhere else in the world, reasonably priced attractions and an easy-to-reach location make a Mexico vacation hard to beat. Honeymooners can enjoy a wide variety of activities, including eco-tourism, water sports, horseback riding, diving, and touring ancient Mexican ruins. 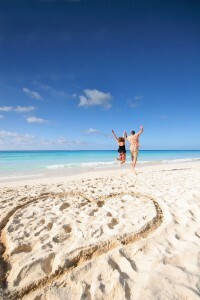 The Caribbean – The islands of the Caribbean have long been favorites for honeymooners. While we mention a few below by name, your travel consultant can assist you with destination materials that provide a wealth of information for helping you choose the perfect spot. Bahamas – With over 700 separate islands, you”ll find numerous resorts with all the water sports, pampering, night clubs, fine dining, casinos, and beaches you could possibly want. 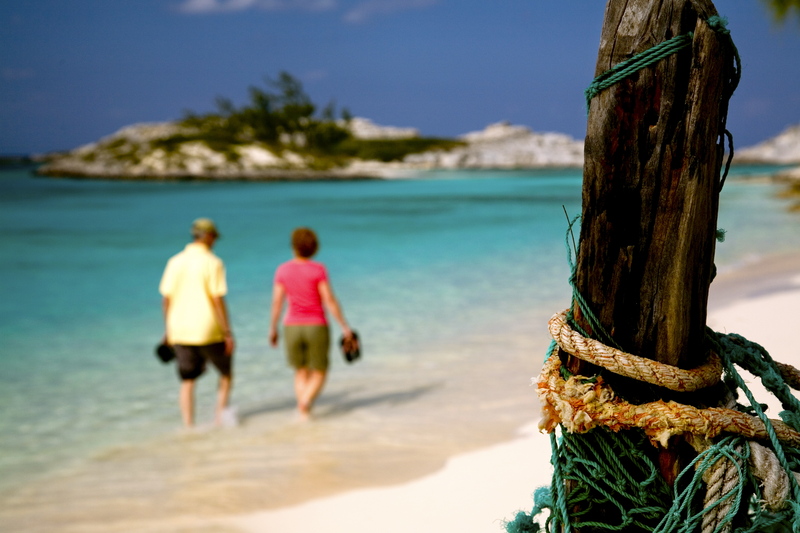 Many amazing islands in the Bahamas can also be visited easily in one trip by booking a cruise. If you”re seeking a truly romantic paradise for your upcoming honeymoon, look closely at the Bahamas. Jamaica – If you”re eager to just get away and relax after hectic wedding planning, Jamaica is the place to be. 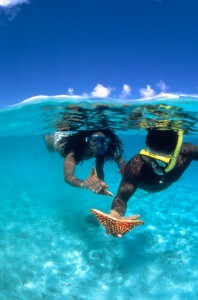 From the famous reggae music festivals to the beautiful shorelines, it”s easy to get into the Jamaican state of mind. Whether you stay on the island in a luxurious resort or simply visit for a couple of hours on a cruise ship stop, Jamaica”s culture of fun, sun, and romance will make you feel welcome. U.S. Virgin Islands – Replete with sailing, snorkeling, sports fishing, and tons of shopping, honeymooners have long been attracted to the Virgin Islands for an active escape. Tahiti and the South Pacific – These islands are becoming an increasingly popular destination for couples (including celebrities) seeking an exclusive honeymoon experience and are the closest most ever get to a private island retreat. The sheer beauty and history of the land and the people allows couples to participate in awe-inspiring eco-tourism and cultural activities. Many also opt to stay in traditional style burés, some of which are directly over the water, to take advantage of the unparalleled views. Fiji- Is the magical isles with the friendliest people on earth! From glistening white sand beaches and crystal clear lagoons and unique atmosphere to world class diving, The Soft Coral Capital of the World has epic surfing and untouched rain-forests to explore. They have some of the most romantic beach bure’s from Treetops to the beach. Wine Country, Ca. – Many couples are drawn to distinctive locations throughout the United States. California, one of the most popular, offers marvels ranging from San Francisco”s Golden Gate Bridge to Wine Country. Its incredible range of world-class hotels, entertainment, and shopping venues gives honeymooners an exciting vacation from home. Offering fun and romantic tourist attractions that welcome visitors year-round. Traveling within the U.S. is an excellent opportunity to experience the unique diversity for which America is world-renowned. For honeymoon planning, the best prices and availability we recommend booking 6-12 months in advance also considering your budget, know that all-inclusive resorts take care of most of your meals, athletic equipment, and tips. Some also include liquor and bar costs as well as resort-specific activities. These arrangements vary widely, however, with some including roundtrip airfare, so find out exactly what is and is not included in the price. Once you have a budget, decide when to go and for how long. Figure out how many vacation days you have and how many you”ll need before the wedding to take care of odds and ends at the last minute. Decide whether you want to leave immediately after your wedding, or wait a few days or weeks to give yourself more time to focus on the trip. It”s usually a good idea to give yourself at least a day or two to continue the honeymoon after returning home, before you head back to work and settle into your everyday life. Posted in Honeymoons | Tagged all inclusive honeymoon, Bahamas, california, caribbean, certified honeymoon specialists, Fiji, hawaii, Honeymoon, honeymoon designer, honeymoon destinations, honeymoon hot spots, honeymoon planning, honeymoon registry, jamaica, Mexico, planning honeymoons, south pacific, Tahiti, top honeymoon destinations, virgin islands, wine country | Comments Off on Honeymoon Planning made easy! San Salvador Island is set on the Atlantic side of the Bahamas and is about 200 miles southeast of Nassau. 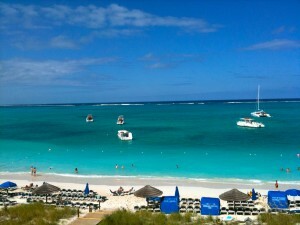 Its only 12 miles long by 5 miles wide, this island has miles of secluded powder white beaches with turquoise blue waters. It mostly has dune ridges, sparkling lakes which make up about half of the interior of the island, its surrounded by reefs that protect the island. On this island you feel like you’ve stepped back in time, travel back and discover archaeological evidence of the Lucayan Indians, its been recognized, with much debate, that it was Christopher Columbus first landfall in the New World in 1492! 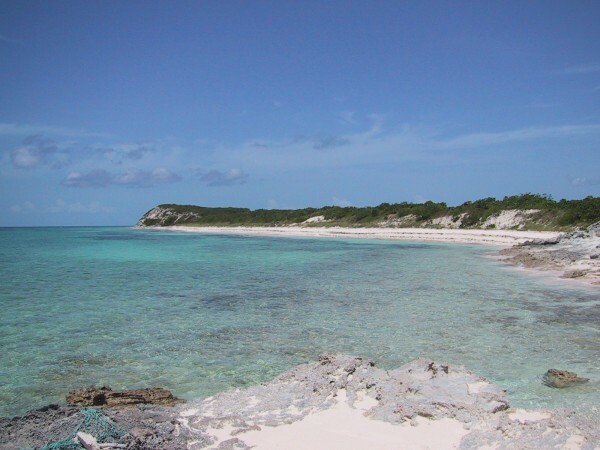 San Salvador’s smaller and more remote sister island, Rum Cay, is located 20 miles southwest. It is a relatively flat island with a few rolling hills, the highest of which reaches an altitude of about 120 feet. 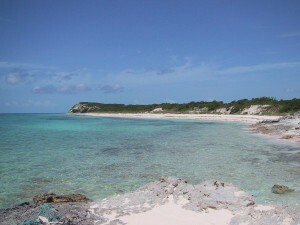 Rum Cay was a former pirates haven with its deep reefs and drop-offs. In the north there are caves containing drawings, carvings and artifacts, believed to be from the Arawak Indians! Yes this is the the little island with some history! The name Rum Cay is believed to have acquired its modern name from a shipwrecked cargo of rum!! Long Island is known as the most scenic out-island in all the Bahamas! Its about 80 miles long by about 4 miles wide, and is located 165 miles southeast of Nassau. 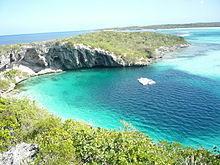 The northeast side of the island is dramatic with steep and rocky cliffs with mysterious caves, this is where you will find Dean’s blue hole, which is the world’s deepest known blue hole, plunging 663 feet deep. This island is definitely a divers dream, they also have astounding underwater wrecks and shark feeding for the adventurer at heart! On the southwest side of the island, they are blessed with soft white sand beaches with crystal clear blue water, great for snorkeling or just being a beach bum. Grand Bahama is the fourth largest of the islands in the Bahamas and furthest north and only 56 miles from Florida, making it the the closest Bahama island to the United States. This island measures approximately 93 miles long and 12 miles wide. There are three main destinations on this island, Freeport/Lucaya, East End and West End, they all offer amazing unique experiences. Located on the south side of the island, you will find the miles of the most beautiful softest beaches you have ever seen! Some good sights to check out, the marketplace at Port Lucaya, as well as their National park’s caves and highly recommend taking a picnic and your snorkel gear out to Peterson Cay. For some memorable meals, check out Luciano’s and Sabor’s Restaurants and Smith’s Point there is a good fish fry and live entertainment! Grand Bahama island seems to have it all, with a mix of modern appeal yet historic and with a twist of ecological wonders, like the underwater cave system and endless plush beaches with clear turquoise waters, add on the 3 national parks and a quaint small town, with beautiful resorts and you can call this island a complete honeymoon destination! Eleuthera and Harbour Island in the Bahamas made our list of Island Hoppers Dream! Eleuthera Island is just 50 miles east of Nassau and just 110 miles long and in some places just a mile wide, making it a long narrow island. Its sophisticated yet casual island and home to endless pineapple fields and white and pink sand beaches with crystal clear turquoise water with massive coral reefs and home to secluded coves. Harbour Island was once the capital of The Bahamas and in 2005 was ranked by Travel and Leisure as the best little Island in the Caribbean! This island is filled with lush tropical greenery and over 35 miles of stunning soft pink sand beaches, it has made the top 10 beaches in the Caribbean numerous times and should be on everyone’s bucket list! On the main island of Eleuthera, you can rent a car to get around, unlike Harbour Island where you will find Golf carts and bicycles are the main source of transportation. Both amazing island getaways, the locals are super friendly and happy to help visitors in anyway they can, so be prepared to make some new friends! Andros Island is the largest of all the Bahamian islands, at 2,300 square miles, with a area greater than all the other 700 Bahamian islands combined. The land area of Andros consists of hundreds of small islets and cays connected by mangrove estuaries and tidal swamp lands, together with three major islands, Mangrove Cay, North Andros and South Andros. Of all the Bahamian islands, Andros is the king, with its beautiful natural surroundings, and the world’s third largest barrier reef, mesmerizing blue holes, and numerous species of flora and fauna. This is a adventurers dream come true! With a mix of the perfect combination of kayaking, hiking, snorkeling, diving, fishing or just bird watching and then add in miles of the perfect deserted beaches and fresh water lakes, this is a vacationers dream come true! Andros is also home to the highest concentration of blue holes, that have many unusual and unique cave fish and invertebrates, some not found anywhere else in the world!! Island hoppers and adventure seekers, this is your true Bahamian island getaway! Acklins Island in the Bahamas, are charming more remote island, but very accessible for the island hoppers at heart. With just 92 square miles and four miles across at its widest point, this island offers warm crystal clear blue water, perfect for snorkelers, divers and fisherman. You’ve heard it said that all good things come in small packages, well this describes Acklins island well! It is home to a small but famous lagoon for amazing snorkeling and breathtaking secluded exotic beaches, with more than 1000 feet of shallow waters. This little island is on our island hoppers list for those couples that want to feel like they have their own island paradise, with secluded coves and beaches to get lost and fall in love all over again! Nassau, the capital of the Bahamas, is located on 21-mile-long New Providence, the Bahamas 11th largest island, its a bustling metropolitan hub with rich culture and modern twist, yet quaint & friendly feel. 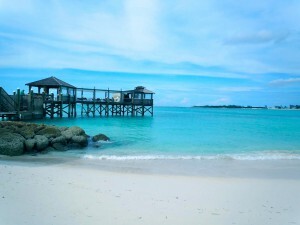 Paradise Island is just north of Nassau, it protects Nassau’s main harbour. Paradise Island is blessed with 185 acres of pure beauty and fun! With white sand beaches, beautiful luxurious resorts, scrumptious restaurants, fun shops, amazing nightlife, golf course and a outrageous aquarium located in Atlantis along with a super fun Casino, that just happens to be the biggest in all the Caribbean! Speaking of Atlantis, this is a beautiful large playground for all ages and full of fun activities for everyone! They have a amazing underground aquarium with every sea creature you can imagine, a water slide that goes right through the shark tank (so it seems), a lazy river, you can even swim with the sharks, dolphins, stingrays, you name it, you can swim with it there!! If that’s not enough, the beaches are white, soft and perfect, the restaurants are award winning, and you can shop until your hearts content, whether you stay at the there or at one of the nearby resorts, you can get a day pass to Atlantis. Whether you want to stay on Paradise Island or Nassau on Cable beach, this is where most of the nicer resorts are, from all-inclusive, adults only, luxury, moderate, something to fit everyone’s budget here! The Straw Market is located in the bustling quaint town of Nassau in the Bahamas, located downtown on Bay Street and is currently open from 9am-5pm. 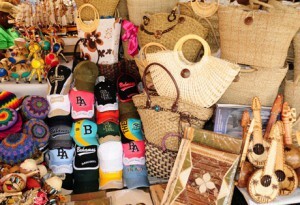 At the Straw Market you will find local vendors with a variety of their handmade items such as, hand-woven straw hats, bags, mats, dolls as well as conch shell jewelry and wood carvings and all at reasonable prices, but always up for negotiating! The Straw industry has been around the Caribbean since the early 1940’s when they use to use it to carry their fish and fruits etc……now fast forward to the present and its a bustling industry where hundreds of locals make a living from. This is a great way to spend a day downtown Nassau, its a fun open air viagra 25 mg market, bring a little of Bahamas history back with you!